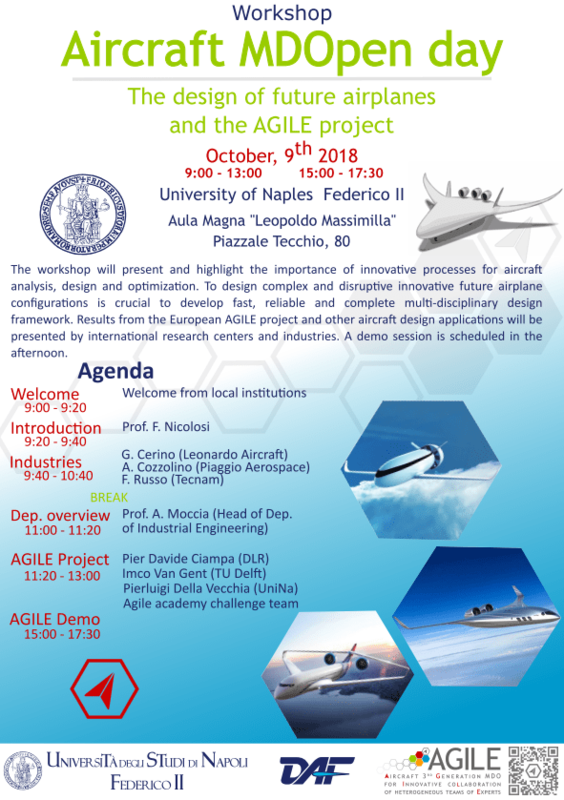 University of Naples Federico II - Aula Magna "Leopoldo Massimilla"
The workshop will present and highlight the importance of innovative processes for aircraft analysis, design and optmization. To design complex and disruptive innovative future airplane configurations is crucial to develop fast, reliable and complete multi-disciplinary design framework. Results from the European AGILE project and other aircraft design applications will be presented by international research centers and industries. A demo session is scheduled in the afternoon.